It certainly feels like classic rock tours go out of their way these days to evade the state of Florida. So when a good tour finally trickles its way towards the Tampa Bay area, its cause for celebration, especially when five Rock & Roll legends band together under one roof. 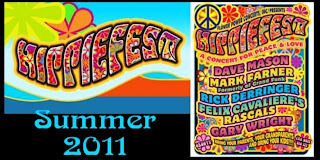 On August 27th at Ruth Eckerd Hall in Clearwater- probably the best Hippiefest event ever rolls into town. This year’s Hippiefest headlines Ex Traffic guitarist Dave Mason. Mason cofounded the band Traffic after Steve Winwood left the Spencer Davis Group. In 1967 Mason left the band after the release of the Mr. Fantasy album. Mason rejoined the band for awhile in 1968 and recorded “Feelin’ Alright,” a song that became Mason’s trademark. “Feelin’ Alright” was covered by Joe Cocker in 1969. Mason went on to join Delaney & Bonnie & Friends in 1969 and released his debut solo album Alone Together producing the hit single- “Only you know and I know” The album reached gold in the U.S. hitting # 22 on the record charts. Mason has shared his extraordinary musical talents with a list of legends- including George Harrison, (Mason appeared on Harrison’s critically- acclaimed album All Things Must Pass) Eric Clapton’s Derek & the Dominos, the Rolling Stones, Leon Russell, Cass Elliot and his good friend Jimi Hendrix(Mason played his 12 string acoustic guitar on All Along the Watchtower). Dave Mason hit superstardom throughout the 70’s with a handful of highly successful albums reaching platinum and gold status- It’s Like You Never Left, Split Coconut, Certified Live, Let it Flow and Mariposo de Oro. Top 40 hits “We Just Disagree” and “Will You Still Love Me Tomorrow” were spawned from that triumphant period. Mason and Traffic bandmate Jim Capaldi reunited for a tour that produced the 1999 album Live: The 40,000 Headmen Tour. Traffic was inducted into the Rock & Roll Hall Of Fame in 2004. Twenty Six Letters, 12 Notes is Dave Mason’s most current album- released in 2008. Grand Funk guitarist and singer Mark Farner is also on the bill of Rock & Roll heavyweights to appear at Hippiefest. Grand Funk Railroad broke the Beatles attendance record for Shea Stadium by selling out in only- 72 hours. Mark’s inspirational- classic “I’m Your Captain” was the highlight of the Shea concert. Mark Farner accepted an invitation to play with Ringo Starr’s All Starr Band in 1995. Bradenton resident and guitar virtuoso Rick Derringer was just 17 years old when he had his first hit with the McCoy’s called, “Hang on Sloopy.”That song actually knocked The Beatles “Yesterday”out of the top spot. Derringer’s 1974 top 40 hit, “Rock and Roll Hoochie Koo” and his amazing guitar solo on the single version of Edgar Winter’s, “Free Ride” continue to rock the radio airwaves. Derringer will be finishing up a tour with Ringo Starr’s All-Starr band in Europe over the summer. You can also catch Rick Derringer on April 29th at Blast Friday on Cleveland Street in Downtown Clearwater. Rick’s most recent album is called Knighted by the Blues. Felix Cavaliere was originally a member of Joey Dee and the Starliters (Peppermint Twist) but enjoyed rock and roll eminence with The Young Rascals. From 1965 through 1969, the Rascals were one of the most popular groups in America. Cavaliere has released five solo albums since his days with the Rascals. In 1997, Felix Cavaliere along with his former Rascals band members were inducted into the Rock & Roll Hall Of Fame. Gary Wright formed the group Spooky Tooth in 1967. After releasing their critically acclaimed first album It’s All About, the band embarked on worldwide tours supporting Jimi Hendrix and The Rolling Stones. Wright became an important player in the rock music circle collaborating with close friend George Harrison on the All Things Must Pass album. Gary Wright has worked with Harrison playing keyboards and co-writing material on many of Harrison’s songs. Wright celebrated two solo efforts with A&M Records, Extraction and Footprint. He also released three other albums with a reunited Spooky Tooth that included Foreigner’s future guitar hero Mick Jones. Wright has also concentrated his efforts on delivering musical film scores and soundtracks. In 2008 Gary Wright was asked to be part of Ringo Starr’s All Starr Band. Gary Wright’s most recent release is called Connected. The album features guest performances by Ringo Starr, Joe Walsh and Jeff “Skunk” Baxter. 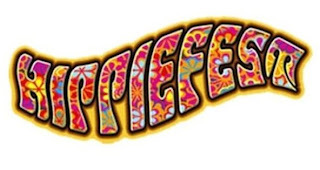 You can preorder tickets for Hippiefest here. Or check back here at Ruth Eckerd Hall for updates.